Likes: Lagonda and Al M.
1. We would need a group (say 100) of music listener experts. 2. IMHO I don't know the answer either. I assume open-reel tape (analog) might win, but my assumption could also be eclipsed by Crystal Disc multichannel recording, or multich SACD (Classical music). From memory, recording my own music playing on open-reel-tape (multi-tracks) sounded very sweet, warm, natural very good. And recording it on premium blank CDs sounded very good too, but another type of good. From my own limited experience and recording gear I would choose open-reel tapes (analog over digital). Regardless of what others might pick, I think I am not alone in prefering R2R tape. It's very important the "quality" of the person doing the recording (experience), with the various recording machines. And I'm talking strictly acoustic live music here, not electric. From that philosophy I think analog would win, definitely. Painting is different than music Francisco. 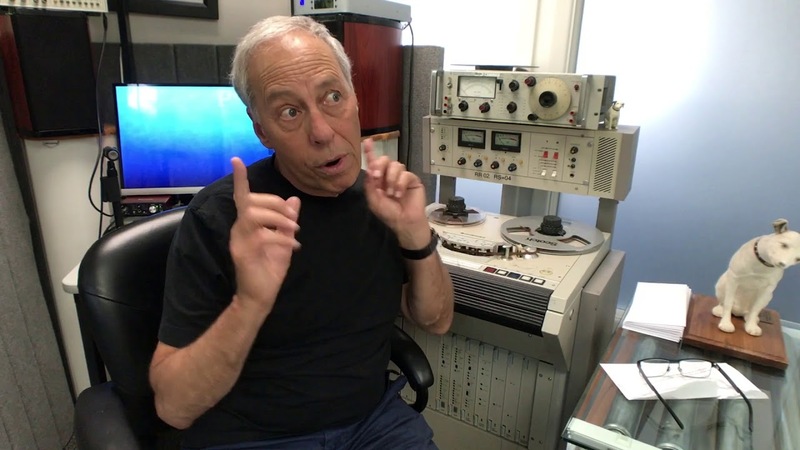 * Bruce is the expert music recording engineer I'd like to get his take on this all affair. One's not better than the other. They are different. I have both. There is good digital and bad digital as well as good vinyl/tape and bad vinyl/tape. That's an easy reply; nobody can lose. Likes: NorthStar and Al M.
I agree with your opinion Bruce; and it's not the first time. Other pro music recording/mixing engineers are from similar opinion, even prefering digital some. If it was my job I would work in digital. ...And with tape for special projects for special artist musicians. Are you going to add active digital crossovers and room correction to the equation? There are certain things that can be done with digital that just can't be done with analogue - when I have heard such set-ups I have been mightily impressed and I can see their appeal. When price is no object, everything is permissible, including active digital crossovers, best digital room correction equalization acoustical optimization system, multichannel system expansion immersion system, etc. So, the best digital the sky's the limit best sound system reproduction versus the best analog rig in the world...including mono, or stereo or quad. You can also expand mono/stereo analog to multichannel but it has to remain in the analog domain all the way, from in to out. See, it's not a question that many people can truly answer with absolute certitude. What we know is only a tiny dot in the audio universe, and what we don't know is what we can only assume. All the audio gurus of the world put together and building those two uber systems (analog and digital) is only from imagination; it is not a reality and never will be because it is constantly ever changing and evolving. I love tapes but I love also SACD multichannel recordings. What is the best of both worlds? Hi, Peter. Thanks for your intellectual honesty and also for your kind words. This is indeed a fascinating hobby and there's tons of listening pleasures to be had. But at the same time it seems very few have any interest in real performance as most seem much more content with maintaining the status quo. I've been having some fun with my new Shure MV88 microphone plugged into my iPhone XR and still trying to refine my in-room recordings a bit. But I think this can be a wonderful way to even catapult high-end audio a bit because until now it's just been people talking about high-end audio and I think if others step up to the plate we can start to separate the wheat from the chaff if you know what I mean. IOW, since most everybody has a smart phone, no longer do we have to trust people at their word that they know what their talking about, let their playback systems back up their words. Otherwise, their words are just soap bubbles i.e. you pop the bubble and there's nothing there. Last night I posted a few more videos on that other thread that may interest you including a dynamic / complex orchestral piece. Below is a quaint piece I came across for the first time the other night that I think is from a Telarc sampler redbook CD. If you listen closely I think you'll notice an abundance of ambient info. In fact, nearly every CD I have contains similar abundance of ambient info from 60's pop to present day orchestral which if nothing else should demonstrate there's a whole lot more music info in even some of the most inferior engineered recordings contain this volume of detail and ambient info. To stay on topic, I can all but guarantee analog cannot compete with this level of Redbook aka digital. If there's a topic you wish to discuss feel free to open a new thread and I'd be happy to partake as it should be easier to substantiate my point of view with my iPhone and Shure microphone. I've been having some fun with my new Shure MV88 microphone plugged into my iPhone XR and still trying to refine my in-room recordings a bit. But I think this can be a wonderful way to even catapult high-end audio a bit because until now it's just been people talking about high-end audio and I think if others step up to the play we can start to separate the wheat from the chaff if you know what I mean. IOW, since most everybody has a smart phone, no longer do we have to trust people at their word that they know what their talking about, let their playback systems back up their words. Otherwise, their words are just soap bubbles i.e. you pop the bubble and there's nothing there.
. . . as it should be easier to substantiate my point of view with my iPhone and Shure microphone. Just to confirm that I understand you correctly, are you asserting that we can accurately compare different high-end audio systems by recording the acoustic output of those systems on an iPhone with a Shure microphone and by comparing the sound of the resulting iPhone recordings played back on the iPhone? Accurately is in the ear of the beholder, right? For the extremely well-trained ear types or even just well-trained ear types (which I am not), without hesitation I suspect the answer is, yes, within reason. For the well-enough-trained ear types (which I might be), without hesitation I suspect the answer again is, yes, within reason one should be able to get a very good idea of what they are hearing. For the untrained ear types, without hesitation I suspet all bets are off as nothing really matters. One caveat is listening room volume levels for recording and microphone gain. Most of my listening is in the low 90 - 101 db range depending on the music. For recording I turn op the volume by about 3 or 4 db, just to ensure the music is making it to the microphone. So I'd guess my listening my volumes for recording are in the 96 - 98 db range. But I'm also quite the novice at this as I suspect there are many ways to improve these types of recordings. Maybe in time. But considering what I hear in-room to some of my in-rooms recordings, I'm relatively pleased or satisfied. Within reason of course, which includes understanding potentially inherent limitations of in-room recording using smart phones. And the only way I know to understand some of the smat phone's potentially inherent limitations is to simply record a piece with with your smart phone. Even if it's just with the built-in microphone. Oh, I forgot a big caveat. Which is by what means the listener listens to in-room recordings over the internet. For me, I'm just listening via the built-in speakers of my macbook pro. This does not make sense to me on its face. I just don’t see how recording the acoustic output of high-end audio systems through the ADC in an iPhone, and then playing that low quality and low resolution digital recording through the tiny, tinny iPhone speaker, bears any high-fidelity relation to the original stereo sound. This is an imperfect analogy, but this makes approximately as much sense to me as comparing two rare and expensive wines by taking a 6 ounce sample of each wine, mixing each sample with a quart of water and a quart of grape juice, and then thinking that the resulting taste-test comparison of the mixed samples has any value. Or I can just read what you write about how your system sounds and what you think you hear. Of course, I have to read between the lines and use my imagination as to whether or not you're able to discern or interpret what you hear, etc, etc. Having the opportunity to hear somebody's in-room recording can possibly tell me within seconds or minutes whether or not I'm wasting my time. BTW, I never suggested listening to in-room recordings on a smart phone's speakers. Though, depending on the smart phone, there's much to potentially discern there as well. But again, one must consider the inherent limitations. Stehno, It sounds as if you are saying that you can compare one iPhone video of one system to that of another and quickly know which system you think would sound better if you were to actually hear it live. It also seems that you think one can assess improvements over time with his system by comparing various iPhone videos over time of that system. Is that what you are saying? This seems consistent with Michael Fremer posting comparative videos on the net and asking readers to assess differences between cartridges and formats, for example. I guess some people find value in doing these comparisons, and others simply don't. I will say that I enjoy Tang's videos for the music. They are also the best sounding videos of this type that I have heard of member's systems. I also think I am able to hear differences when he posts videos of the same music using different cartridges. However, I am not going to buy a cartridge based on the sound I hear over my computer. Is it better than nothing? I suppose it is. I think I would better understand what you are trying to explain if you were to post one of your own videos and describe for us what you hear and how it represents at attribute of your system. My fear is that these threads can be contentious enough. If we were to start criticising member's videos and making assumptions about how their systems sound from those videos, this might not be a very pleasant discussion forum. On the other hand, by just reading their verbal descriptions of the sound of their system, we are left to simply imagine what they "might" sound like, so that is not very helpful either. If you are interested in discussing system attributes through sharing iPhone videos on line, perhaps you should start off the discussion by starting a thread to discuss the videos you have already posted. They sound fairly good to me over the speakers in my iMac. Let's see where such a thread takes us. Some people words on sound quality have a meaning for me - those of people I have been following for a significant time, have systems using equipment that I have some experience and most of all, music and gear preferences that are in part similar to mine. And then, I think I can learn something from them using my imagination. But no way I can imagine how most systems described in WBF sound from youtube videos - and I find trying to imagine how they sound from owner videos a dangerous and misleading activity, although I admit it is fun and entertaining. Surely people can hear differences from them, but little else IMHO.